Long gone are the days of greasy hair, stinky breath and smelly armpits doring the walk of shame. The young generations, with One Direction's Harry Styles leading the way, know how to do it these days. Though the new way leaves little room for spontaneity, I confess I much prefer it this way. Harry was recently seen going back to Taylor Swift's – he's doing good – hotel in New York. 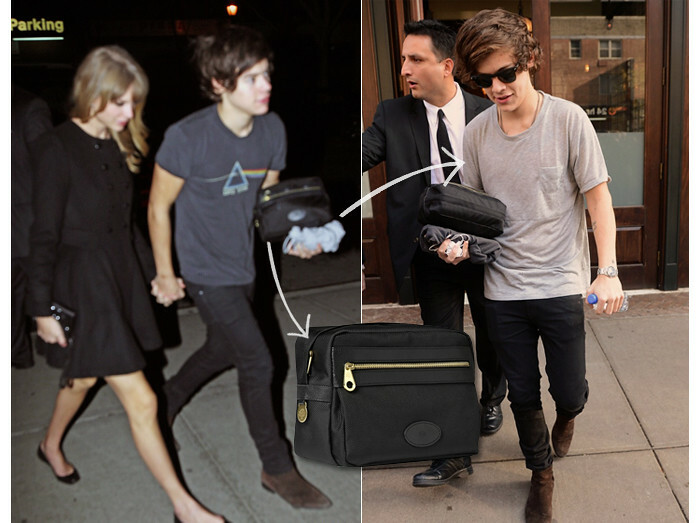 He carried with him a fresh t-shirt and Mulberry's Henry wash bag because, let's face it, who wants bed hair in public? Exactly. So being the clever dude he is Styles managed to walk out of the hotel the following morning looking as if nothing had happened, though his tale-telling smile suggested otherwise. In case you're keen, more Mulberry Henry here.